Republican senators on Tuesday narrowly approved a motion to proceed to debate on a health care bill meant to repeal the 2010 Affordable Care Act and possibly replace it with alternative legislation … or not. It remains unclear what bills and amendments the Senate will consider on the matter. 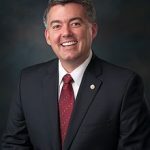 Colorado Sen. Cory Gardner joined 49 other Republicans, including the dramatically back-in-action John McCain of Arizona, in voting for the motion to proceed. 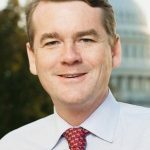 Two Republicans, Susan Collins of Maine and Lisa Murkowski of Alaska, joined every Democrat, including Colorado’s Michael Bennet, in opposing the motion. Vice President Mike Pence had to cast the tie-breaking vote in favor of the motion. McCain returned to Washington after a brain cancer diagnosis, voting to move forward on health care but making it clear he would not vote for any of the current bills being considered and urging bipartisan work on the issue. Obamacare is the GOP’s favored term of derision for former President Barack Obama’s signature Affordable Care Act, which is credited with decreasing the number of uninsured Americans by an estimated 20 million people. It’s estimated the BCRA, or Trumpcare as some Democrats now call it, would result in 22 million Americans losing health insurance by 2026. Still, Gardner says premiums have skyrocketed under the ACA, and therefore Obamacare must go. Bennet blasted the vote for the damage he says it will do to Colorado families. Three Republican Colorado House members — Scott Tipton, Ken Buck and Doug Lamborn — voted in favor of a companion bill in May, the American Health Care Act. Three Colorado Democrats — Jared Polis, Ed Perlmutter and Diana DeGette — joined Republican Mike Coffman in opposing the AHCA. The nonpartisan Congressional Budget Office estimates that bill would lead to 23 million Americans losing health insurance by 2026. A straight repeal would result in 32 million Americans losing insurance, the CBO estimates.